life as I know: Win an Appointment with the Phipps Plaza Santa!!! Win an Appointment with the Phipps Plaza Santa!!! Sony Pictures Animation and Aardman’s ARTHUR CHRISTMAS is the new family animated comedy hitting theaters on November 23rd. And since I was such a good girl this year, I've got gifts for all of you!! Let it snow, let it snow, let it snow! Bringing the spirit of the season early to Atlantans, Aardman and Sony Pictures Animation are hosting the "12 Days of Arthur Christmas" events throughout metro-Atlanta and I'm going to help them spread the love. It all starts with a Snow Celebration at Centennial Olympic Park on November 12th and ending with a Jingle Bell Rock Party at Atlantic Station on November 23rd. Guests will be ever filled with holiday cheer as they partake in the multitude of happenings around the city. An Army of Elves, meet and greet with Santa's reindeer, holiday lights at Lake Lanier and testing the ice at the igloo village at the Georgia Aquarium are just a few. Ever wonder how Santa delivers 2 billion presents in one night? “Arthur Christmas” answers the question… The answer: Santa's exhilarating, ultra-high-tech operation hidden beneath the North Pole. When this amazing operation misses one child out of hundreds of millions, Arthur, the least capable Claus, embarks on a hilarious, exciting rogue mission against the clock with his politically incorrect grandfather Grandsanta and a giftwrapping-obsessed elf named Bryony, to deliver the last present before Christmas morning dawns. But before the film’s opening we're going to celebrate the 12 Days of ARTHUR CHRISTMAS in Atlanta! It's a whole host of activities to get the family out in the mood for Christmas, so Let's start with some SNOW!!! Join Arthur’s Army of Elves as they kick off the 12 Days of ARTHUR CHRISTMAS with fresh snow for free tubing, posing and playing in front of the Fountain of Rings. All who attend the free event can enter to win an appointment with the Phipps Plaza Santa. Open to the public. Well be at Centennial Olympic park Saturday morning at 11:00AM and be the first person to tweet me www.twitter.com/slhayesdesigns, or check-in with me on Facebook. The earliest timestamp I see gets the appointment with the Phipps Santa!!! 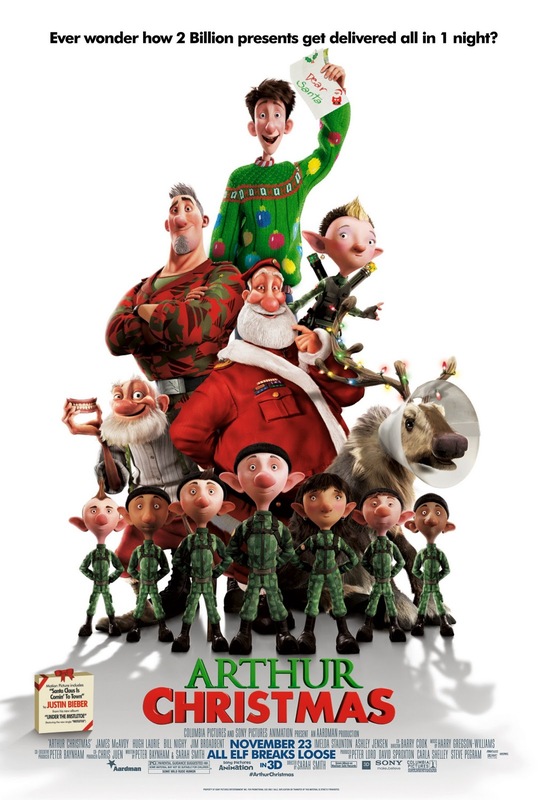 Check www.12DaysOfArthurChristmas.com for a complete list and details of all the "12 Days of Arthur Christmas" activities.